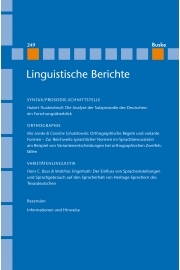 The German language confronts users with a lot of normative and binding orthographic conventions (Amtliche Regeln). These rules have significant value in the language community both in official contexts and in everyday speech. Our subject in the present article is the actual use of the rules, especially with regard to indefinite questions and aspects (,Zweifelsfälle‘), and how far they are firmly established in the user’s language awareness. Therefore, in the present study teacher trainees (subject: German) have been asked to answer 16 multiple choice questions that referred as examples to several orthographical aspects that allow only one or two or rather more spelling suggestions. In the context of our analysis it was investigated whether the students’ choices were equivalent to the current official regulations. In addition to that the students have been asked to name the references, e.g. dictionaries (digital and print) they use in the case of spelling questions and ambiguous orthographic conventions. 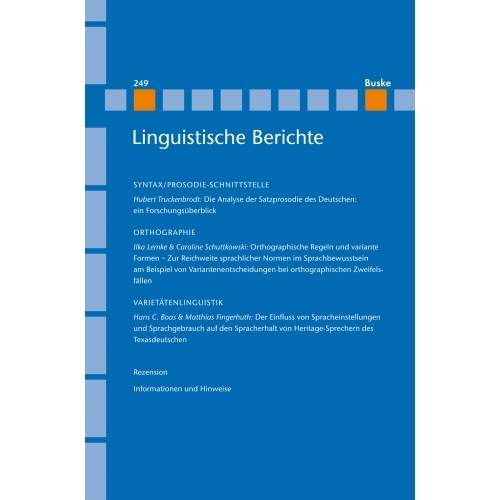 Deviating from the official regulations (Amtliche Regeln) the suggestions of the Duden have considerable influence on the user’s behavior about uncertainty in spelling questions.